In this grand-scale narrative history, two-time Pulitzer Prize finalist H. W. Brands brilliantly portrays the emergence, in a remarkably short time, of a recognizably modern America. 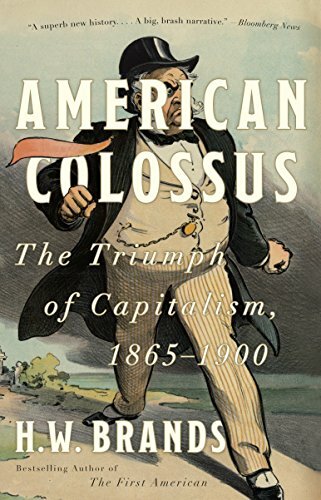 American Colossus captures the decades between the Civil War and the turn of the twentieth century, when a few breathtakingly wealthy businessmen transformed the United States from an agrarian economy to a world power. From the first Pennsylvania oil gushers to the rise of Chicago skyscrapers, this spellbinding narrative shows how men like Morgan, Carnegie, and Rockefeller ushered in a new era of unbridled capitalism. In the end America achieved unimaginable wealth, but not without cost to its traditional democratic values.